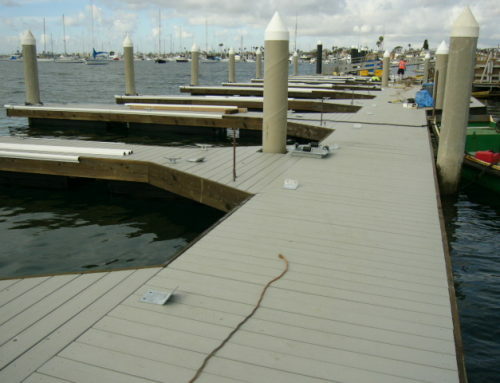 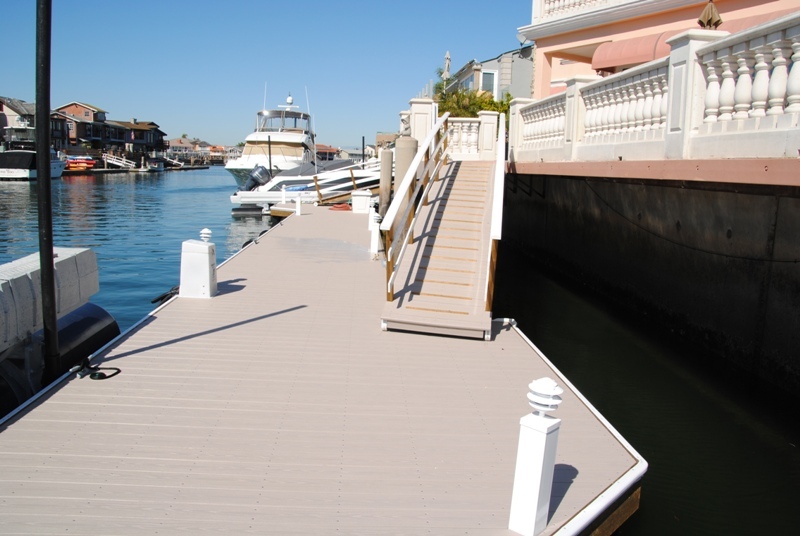 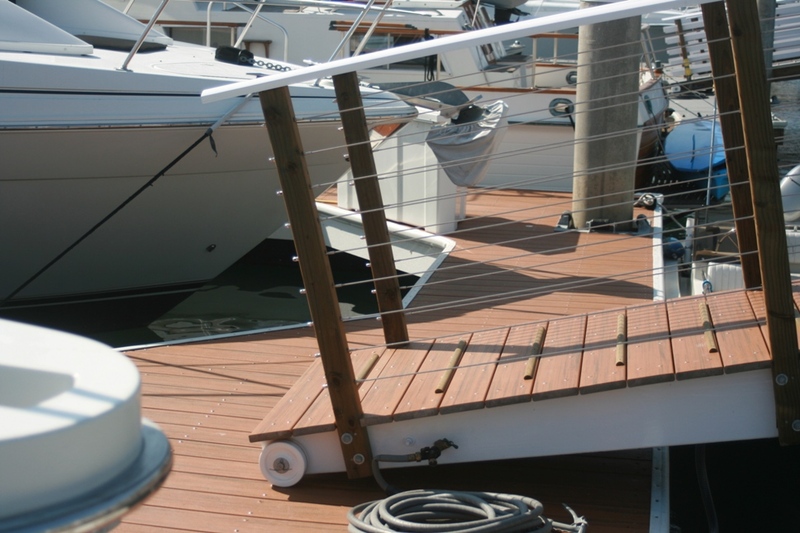 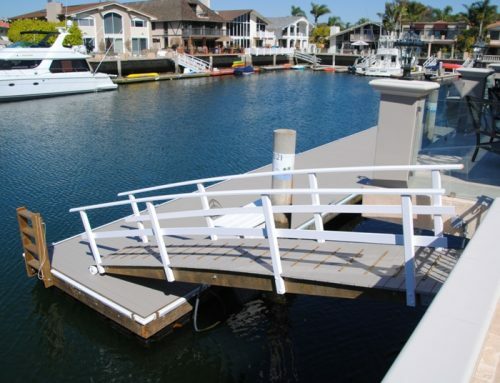 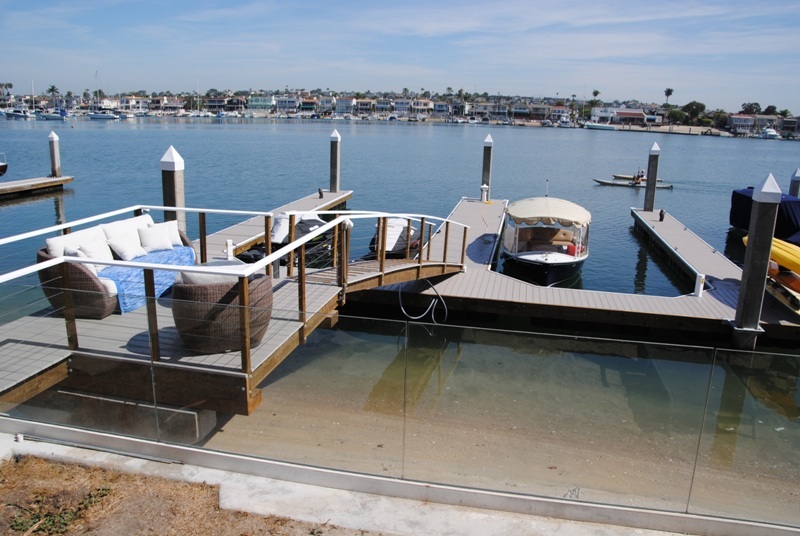 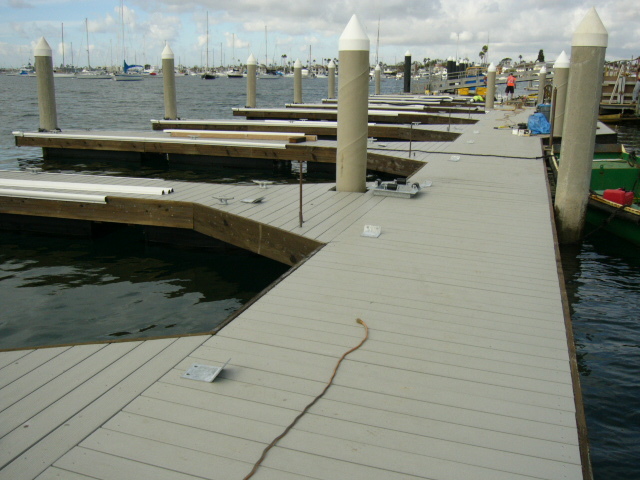 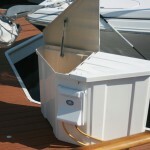 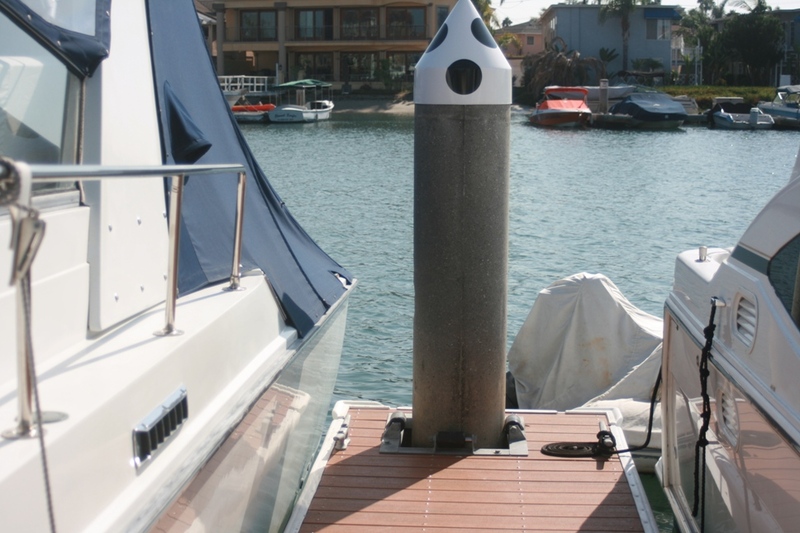 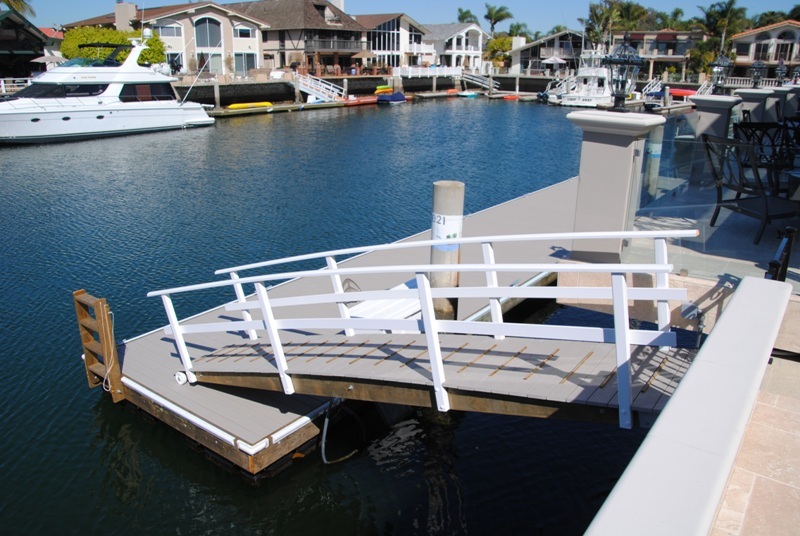 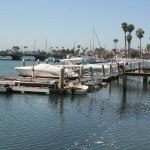 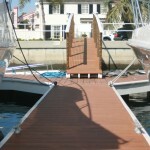 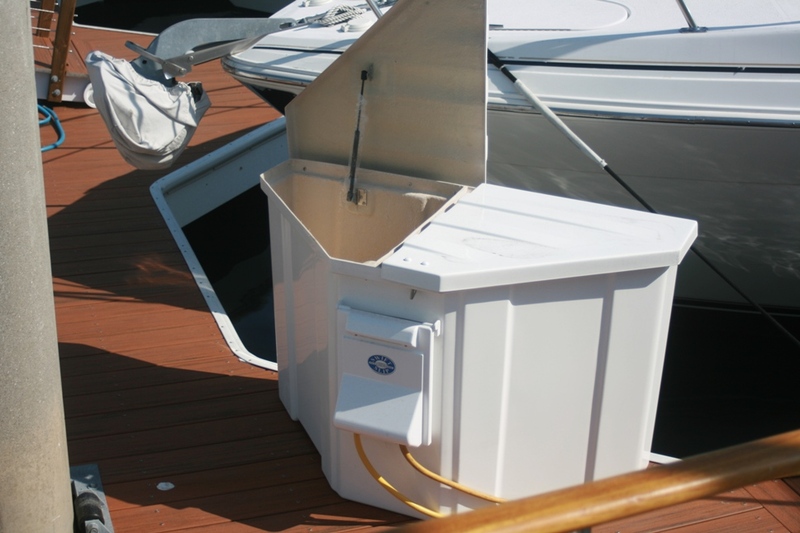 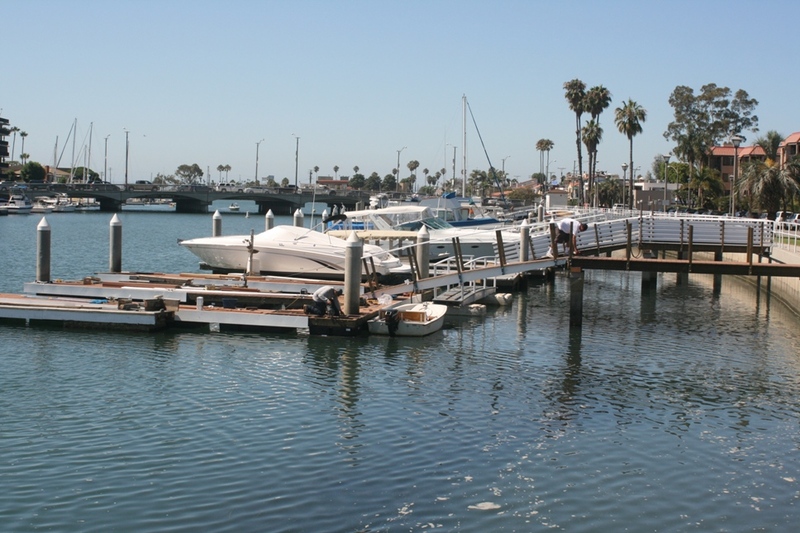 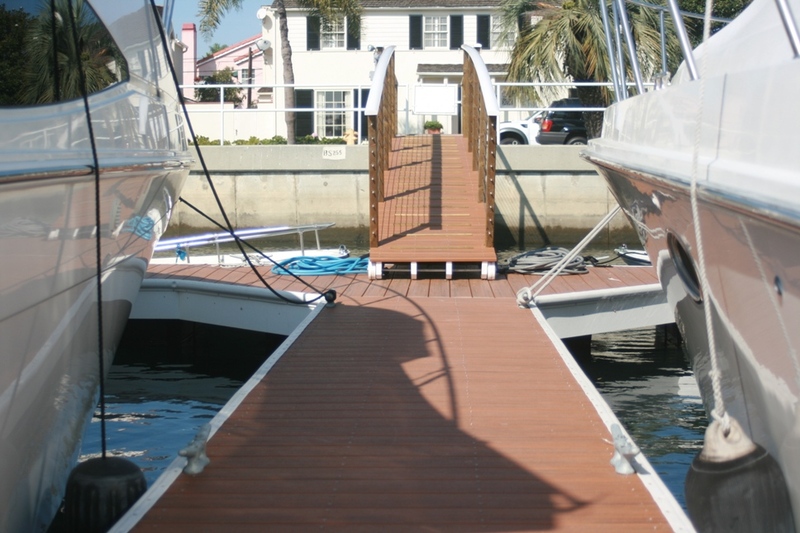 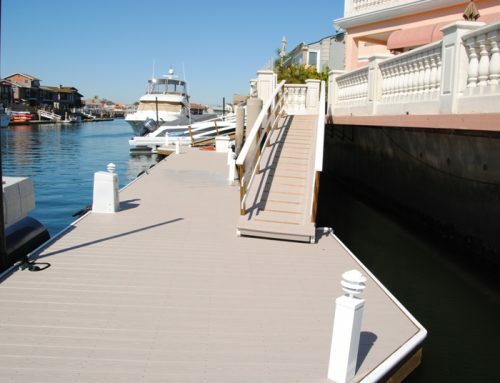 This dock has very unique features with timber Tech decking, white Azek facia, and dock boxes with power stations. 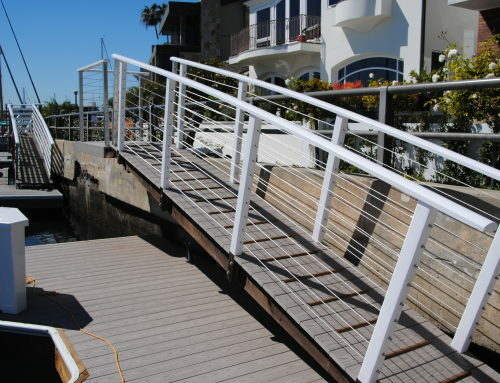 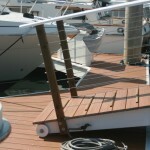 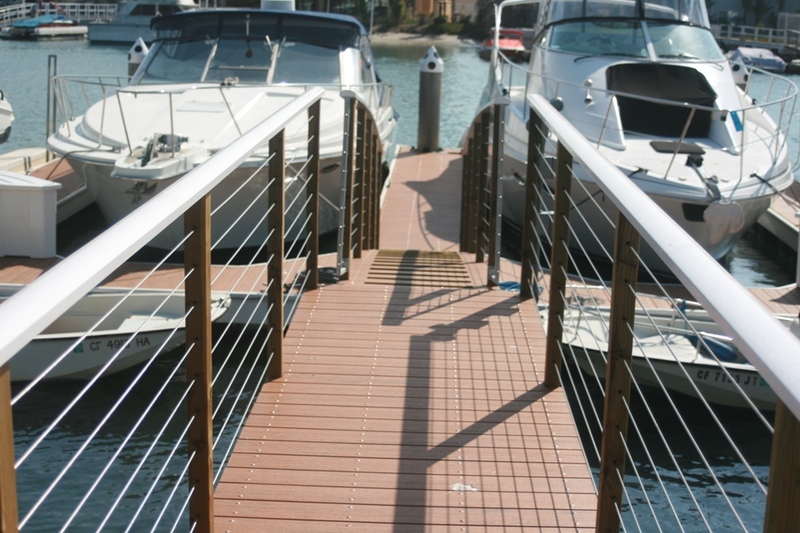 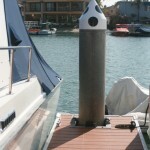 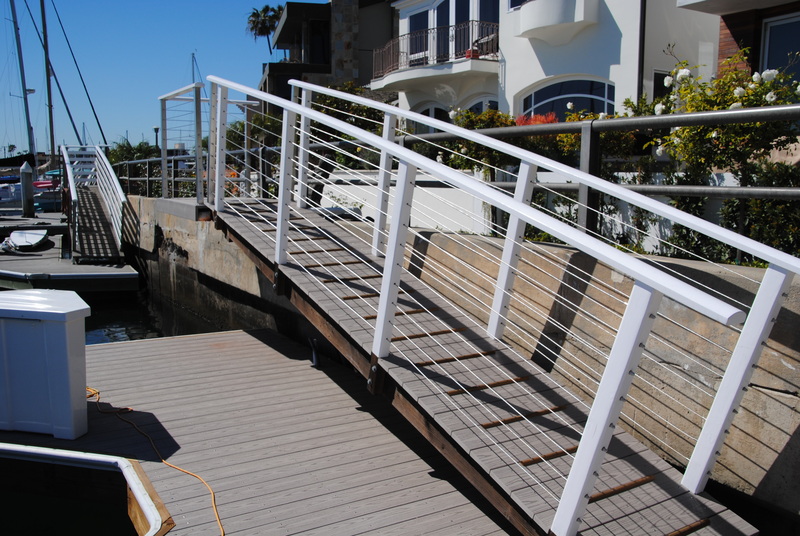 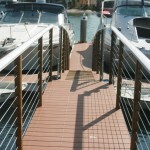 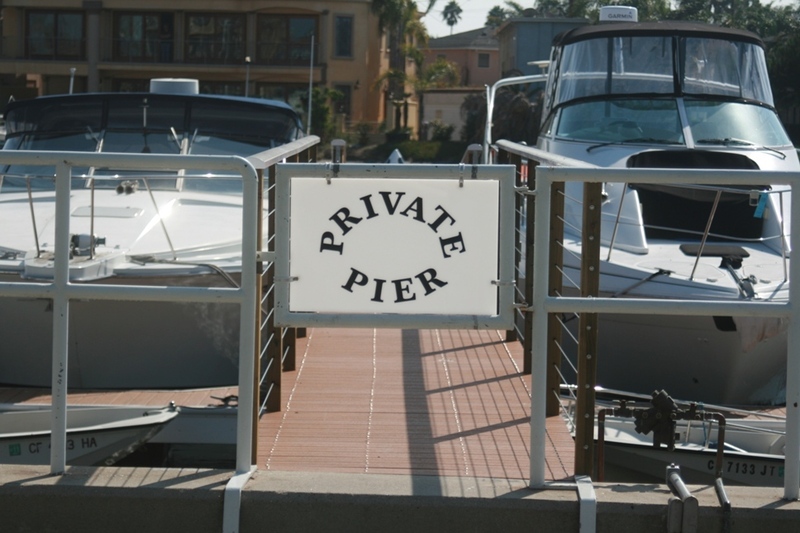 The gangway and pier have stainless steel cable railings. 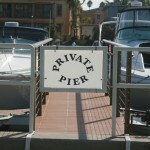 As a personal touch, the owner added polka dot pile caps!